Every animal lover dreams of having a dog as a pet. Imagine the pure bliss of having that furry best friend back home who expresses unconditional love when you return after a day of working hard. Not only does their affection help to eradicate your weariness but the amount of love our pets express make us feel rejuvenated. In return, while these pets are practically programmed to give you love, returning the favor can be just as rewarding. A useful gift that you can give your dog to show your love is a new collar. However, these can be used for a large array of purposes, ranging from making your pet the next big thing in trending fashion to assisting with training. Dog collars can consist of a variety of types and styles including traditional leather collars, rhinestone dog ribbons, designer puppy collars, ones with attached wireless receivers/trackers, and so on. Your pet’s type and size of collar play an important role when you’re trying to train him or communicate with him. You should always keep yourself updated with your dog’s collar size, particularly if your pet’s a puppy that’s growing fast. The collar should always match your pet’s size. For instance, you should choose one with a lightweight material for toy dogs and other small breeds and larger dogs can carry the heavier leather/chain designs. Let’s take a look at some of the dog collars available. Look for an online pet store that will offer you the quality made collars for different kinds of dogs or check out what is on sale in your local pet shop. Standard collars are the most frequently purchased type of pet collar. These are particularly meant for everyday use and are required when the owner takes their dog out for a walk. They are made of a vast range of different materials, ranging from metals through to metal, leather or nylon. These sorts of collars are usually pretty durable and with so many to choose the form you should be able to find the functionality you’re looking for. 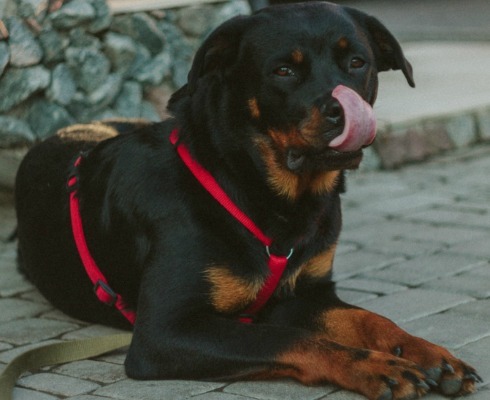 If you’re looking to train your pet to remain within your yard or prevent excessive barking, you may need to look at training collars instead. However, when it comes to traditional collars, you can get them in a large number of colors and choose the one that suits your pet the best. These standard dog collars may include several fashionable ribbons, rhinestones, and other popular designs. If you prefer a buckle collar which is better suited to stronger dogs to enable you to more easily manage their size, rolled leather types are one of the best available for dogs as they do not create hair loss or result in a parting of their fur. This collar should be adjusted to sit right on the neck and high above your pet’s shoulder blades and fitted snugly and not too loose as you do not want it to slip off if your dog pulls away. Traditional collars usually come in nylon or leather materials. They are also available in a wide range of designs, colors, and widths. If you’re buying a traditional collar, make sure that it has a snug fit but with enough room for your two fingers to come in between your pet’s neck and the collar. It shouldn’t slide down to the dog’s shoulders and shouldn’t be too loose to slide over the dog’s head. To take an accurate measurement of your dog’s neck for a perfectly fitting collar, wrap a tape measure around his neck and add a couple of inches. 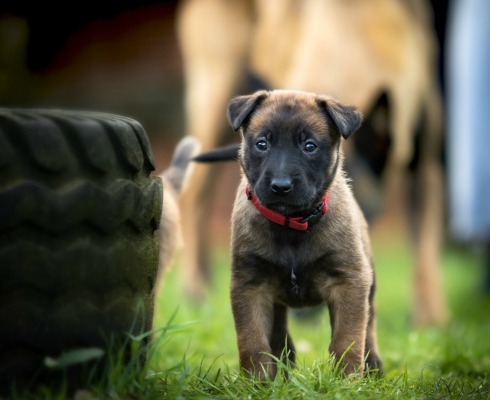 If standard training methods are not working well for your dog then there are training collars available on the market which you may wish to consider. True to its name, the training collar can be used to train your newly acquired furry companion or your stubborn old pal. Whichever the case, you’ve made the first step in looking into the various ways in which dog training collars can actively correct poor pet behaviors. However, as various different strategies are brought into play to train your dog, types of collars also vary. Most dogs react to the commands of their trainers positively particularly if the latter is adept at managing the behavior of the pets. Positive reinforcement is also reported to be more efficient as opposed to using any negative type of training. You’ll have to show patience towards your dog and understand how to use any type of training collar safely and correctly. The most commonly used and yet controversial dog collar used for obedient training purposes is the choke collar. This needs to be used properly and under the supervision of a professional initially so that the dog does not sustain an injury. Training collars also include devices that work to contain the barking of your pets. For collars to train your pet or dog to stay within the perimeter of your home, you may want to check collars that can help with this. Usually containing a small receiver made out of thermoplastic, they are built to withstand the toughest conditions. Electric dog collars are typically used to halt certain negative behaviors or discourage your pet from behaving in a certain way. These electric dog collars usually have two electrodes fitted within the collar so that when the pet performs an unwanted action, it receives a mild shock, thus discouraging any repeat actions. However, it is necessary to understand that the best way to mend a dog’s action is to praise it and provide positive reinforcement for the good deed rather than punishing it. Hence, the use of this collar is not always effective and many people object to its use, feeling that it is unduly severe. Dog harnesses go around the neck and shoulders and behind the front legs. These are great for leading pets who are suffering from upper respiratory diseases in parts of the throat and trachea. When the owner pulls the leash, the harness pulls away from the painful areas of the pet, relieving pressure on the neck that can result in irritation and coughing. If your pet has a certain disease that requires you not to put pressure on its throat, you should find these harnesses very useful. Usually, dogs with upper respiratory diseases cannot have collars, because collars promote choking, coughing and throat irritation. They can also be great for large powerful dogs, particularly if they have an attachment for a double-ended lead. This provides the owner with great control, enabling them to lead the dog rather than pull it. Halter-type harnesses provide improved and controlled movement for dogs, especially during training. This type of harness mostly fits around the head which in turn controls the rest of its body. This looks more like of a horse’s halter which has a band around the back of the head and around the nose which the leash connects under their chin. The head is controlled by pulling down or to the side which makes it impossible for your dog to move ahead or pull you forward. For this reason, it is often a recommended tool to use when training large and working dog breeds if you wish them not to pull you forward. It gives you full control of your dog’s head as it has soft but durable bands, two of which go around the neck and another one around the nose. If you’re walking your dog and it pulls you, the halter collar will gently close the dog’s mouth, something that dogs don’t like. This will encourage them to behave and reduce pulling. No matter which type of collar you opt for, it should have an identification tag attached to it at all times showing your name and your contact numbers. This makes it easy for people to locate the owner should your dog get lost or wander off.